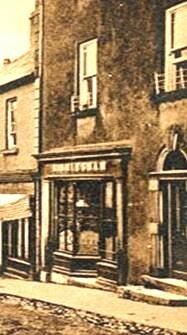 The property that is currently a Bookie’s and Art O’Neill’s pub was the Victoria Hotel at one stage. 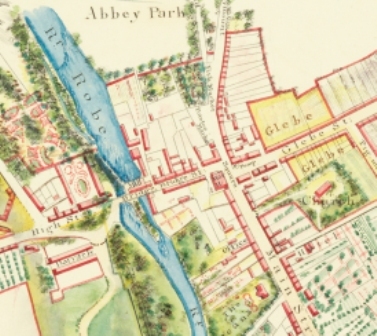 Many other Hotels were located in various places around Ballinrobe. This is unlikely to be the hotel that de Montbert stayed in, however, it gives some idea of the variety of visitors and the awarness and importation of art and internation trends. 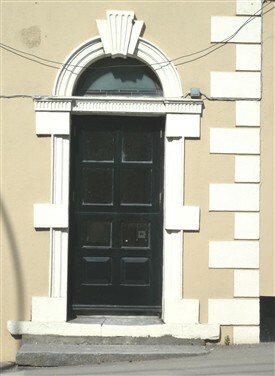 Around the year 1818 there seems to have been an increase in new buildings in Ballinrobe which had some particularly handsome door-cases which may have been the case here. It may also indicate the increase in visitors due to the building of new roads in the area with easier access to Ballinrobe. Mr. Peter Monaghan is listed as the owner of the “Grand Central” hotel in 1889 and also had an adjoining house. He had an oil lamp light of ‘Austrian make’ outside his premises. An adjoining house to this hotel, on its right on the upper side of Bridge St, was incorporated into the hotel, at some stage and this can be seen from the quoin stones on the front elevation. In architecture, the external corner of a building has stones that are both structural and decorative, in that they often differ in jointing, colour, texture, or size from the masonry of the adjoining walls. Usually quoins are toothed (i.e., set in short courses in a regular pattern of alternating lengths see photo). Such construction styles date back to ancient Rome. 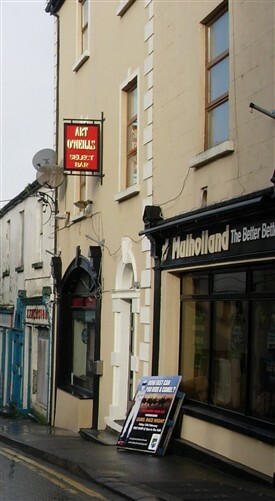 This adjoining building, on its right, was a post office in 1899 before been taken over by Mr. Michael Hynes as a general merchant’s store. While it has been suggested that the old hotel building might have been listed for preservation this does not appear to have occurred. More information on this building requested.